If you were born in Jamaica as late as 1993 and you had family members abroad, then there is a good chance that you would know what a cardboard barrel looks like; and not just what it looks like but its traditional use in a Jamaican home. I can vividly recall my mother having a cardboard barrel which she used to store old clothes, bed linen, curtains or other little household textiles. Now, there comes a time when she goes through the barrel and throws out the old things to make space for the new, but there are some things that never get thrown out: Things like that little red baby dress, and that peach dress that I was so in love with as a child, never got thrown out, because of the sentimental value they hold. Today, my mother uses these little pieces of fabric to take me on a journey through the first four or five years of my childhood and, as a heritage scholar, I ask myself how much she would have remembered about a particular moment/event without that dress or hat. How much effort do we put into preserving important textiles of the past and what is the importance of textile preservation and conservation? These thoughts came to mind as I worked on removing the wrinkles from some historical costumes for an exhibition marking the University of the West Indies (UWI) Singers 60th anniversary, and as my mind drifted back, I also remembered a Textile Conservation, Preservation and Exhibition Workshop hosted by the Ministry of Culture, Gender, Entertainment and Sport in January of this year. 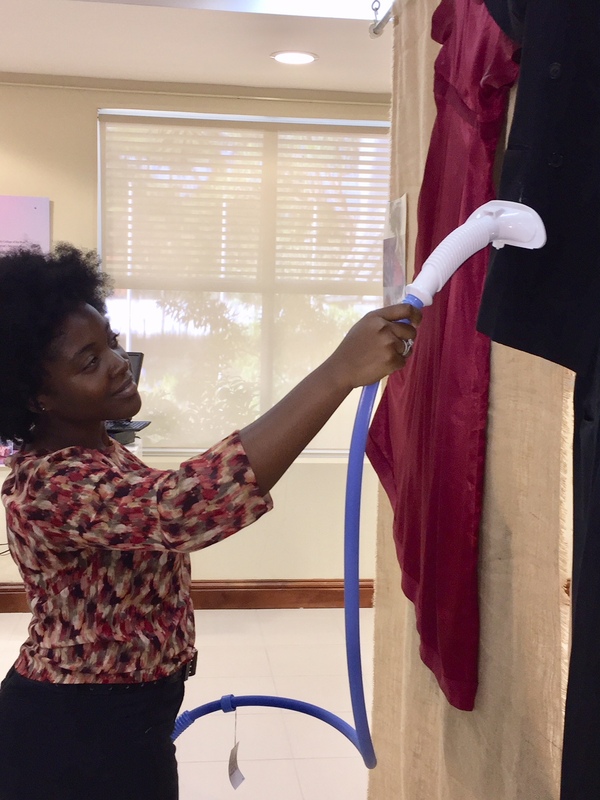 The workshop specifically focused on the types of textiles found in Jamaican museums (cotton, linen, silk and wool); as well as on textile deterioration, wet cleaning of historic textiles, storage solutions and exhibiting textiles and costumes. While steaming the garments mounted on their burlap panels, I was taken back to that section of the presentation that focused on preparing textiles for display and the precautions that should be taken to reduce deterioration or damage to the fabric. Things such as the importance of providing sufficient support for the textile to prevent sagging and disfigurement; mounting the exhibition in low lighting (excluding ultra-violet) and avoiding a moisture and dust-prone storage space were among the core memories that surfaced. Without being informed, I then realized the benefits of using a steamer instead of an iron. Unlike the iron, the steamer is least likely to burn the fabric and in addition to removing the wrinkles, it also extracts dust mites from the fabric. Despite the fact that these things may seem simple, they are very important to textile conservation. A key point to note is that these costumes were in a very good state; they had no visible signs of damage. It turns out that since being accessioned to the UWI Archives ,as part of the UWI Singers Collection, they have been stored in an environment conducive to their survival: at a maximum temperature of 18∘C, away from acidic materials and other harmful elements, and in low lighting (excluding ultra-violet). The lifespan of the textile is heavily reliant on the ways in which it is being handled and the environment in which it is being stored, before, during and after an exhibition. By properly safeguarding these pieces of their past, the UWI Singers have provided an avenue to the past for generations following and/or for anyone who would like to investigate the culture of dress in Jamaica. 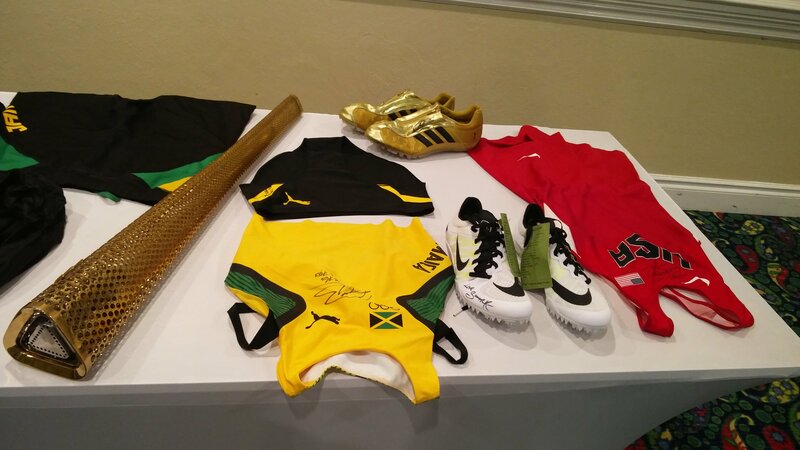 This act of conservation also signifies the value of preservation and conservation workshops because Jamaica’s museums do exhibit textiles. Ironically, it was only after coming in contact with this exhibition that I began to appreciate the value of that textile conservation, preservation and exhibition workshop. Many times, we attend educational workshops and we acquire all this valuable information but it goes to waste because we fail to apply or share the knowledge. So, the next time you visit a workshop, think of the ways of applying the knowledge garnered; and if it has anything to do with textile preservation, just dig through the closet or barrel and try to preserve that one piece of textile you so cherish. You never know, one day it might be used in a museum exhibition. Samantha Campbell is a student of the University of the West Indies (UWI) Department of History & Archaeology’s MA Heritage Studies programme. She is doing a one month Practicum at the UWI Museum.